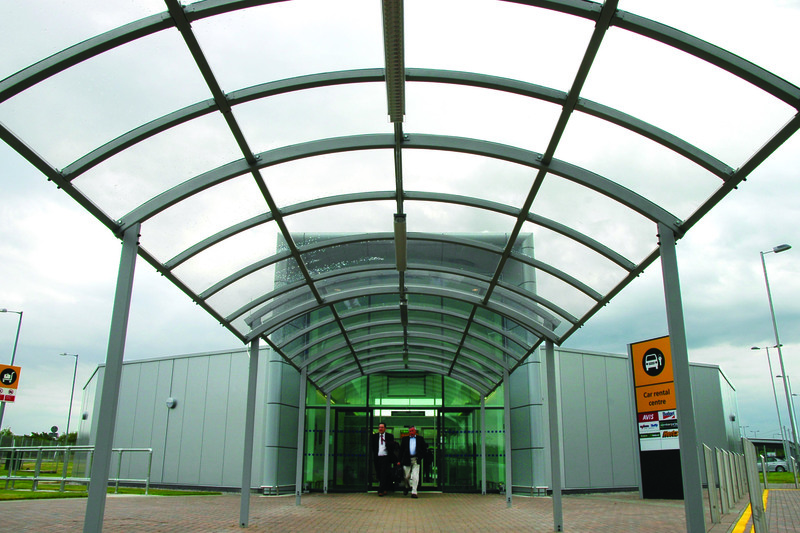 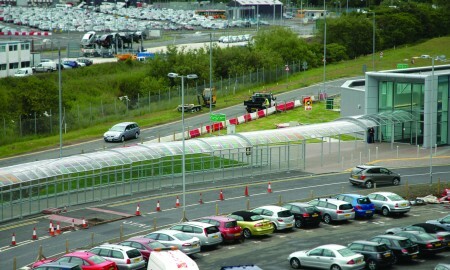 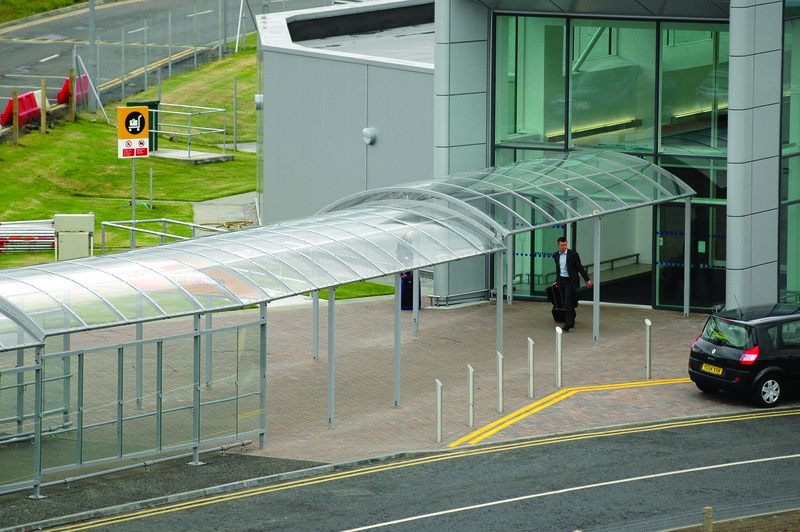 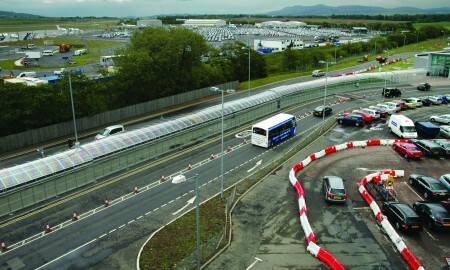 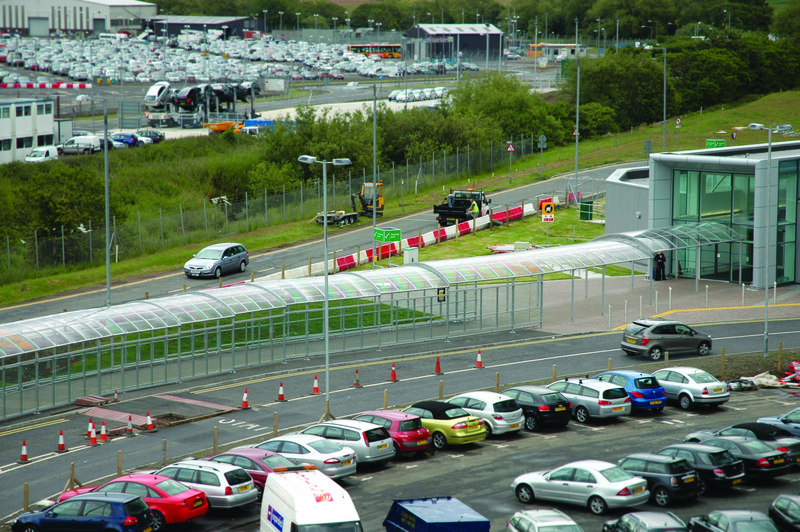 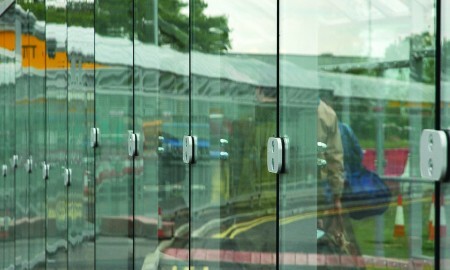 A continuous link canopy providing cover and protection to foot traffic travelling from the main passenger terminal to the new commercial on-site car hire terminus. 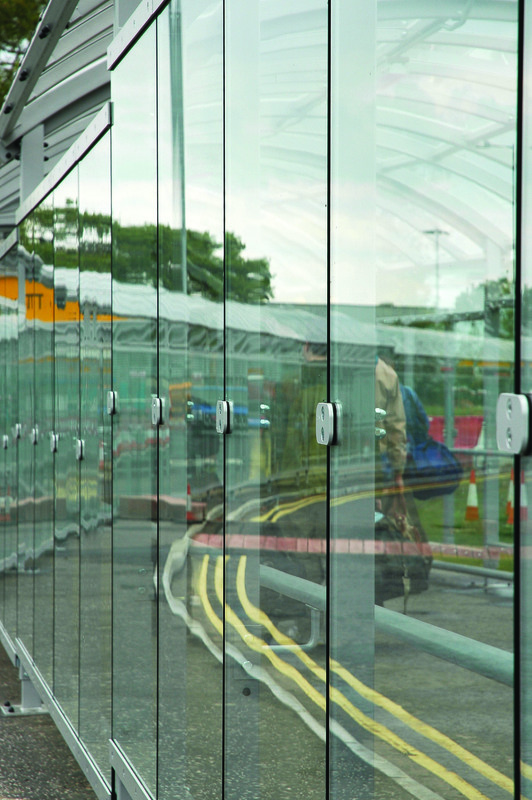 Designed in accordance with strict airport health, safety and fire regulations the eventual solution was achieved on an ambitious delivery schedule in a challenging working environment. 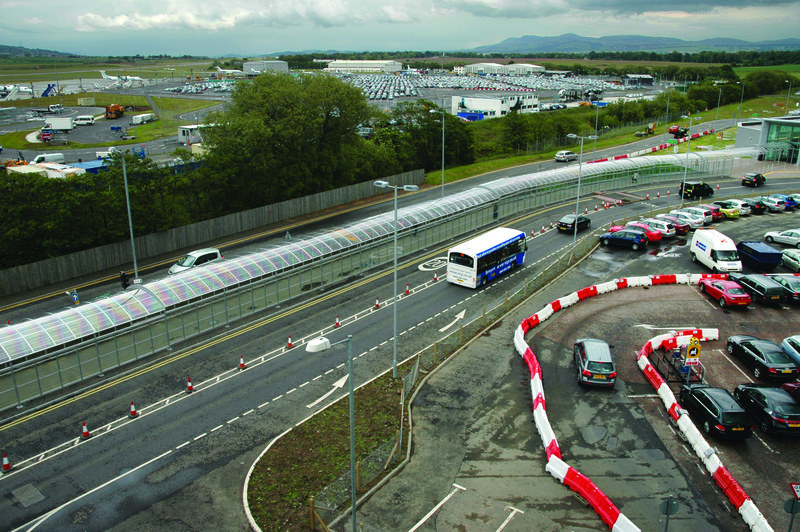 The natural topography of the site meant providing a solution with multiple changes in direction, accommodating considerable falls across the length of the canopy and installing onto a central reservation of a working airport dual carriage way.